Addressing farmers’ seed needs and concerns is the priority of the Indonesian government. It has formalized the rice seed production system across the archipelago. The established system involves formal (government, research centers, private and public sectors) and non-formal (rice growers, farmers) institutions. In selected areas, interventions such as government subsidy were implemented. In the process, various issues have risen, mostly on proper timing of planting and the use of rice varieties. Moreover, in farmers’ minds, the concept of a community-based seed system (CBSS) is not clear. In unfavorable areas, farmers end up receiving low-quality seeds and paying a higher price for unsuitable varieties. In addition, some factors have further worsened cost and access to quality seeds. These include big seed companies taking a major share of the seed market, lack of knowledge on high-quality seed production, inadequate quality-seed supply from the public sector, and slow acceptance of new varieties among farmers (only 50% of them use certified seeds). Capacity building. The CURE project in Indonesia does not merely focus on technology discovery and assessment. It also works on spreading both knowledge and technology to farmers. To achieve these objectives, CURE-Indonesia held, for the second time, a workshop-training program on CBSS in June 2013. Eleven extension workers/officers-in-charge of seed production systems participated in the training. 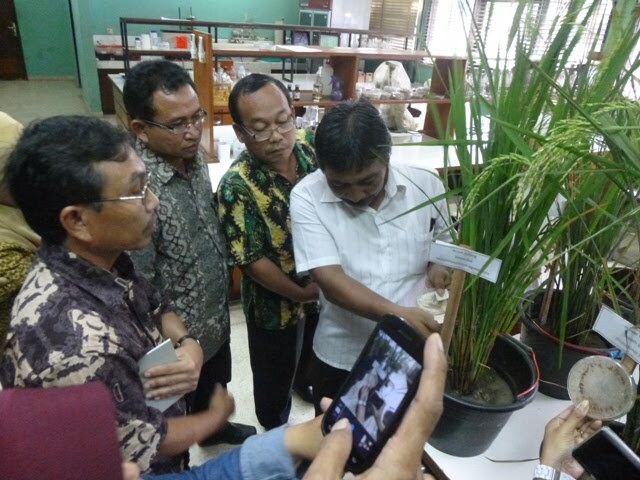 They came from seven Assessment Institute of Agricultural Technology (AIAT) offices from seven rice-producing provinces in Indonesia, namely Banten, West Java, Central Java, Jogjakarta, East Java, Bali, and West Nusa Tenggara. The extension staff of AIATs in Indonesia play a significant role being the frontliners of technology innovation from central research institutes to local extension units or directly to farmers. Training overview. The training aimed to introduce seed health management techniques, crop management practices, and various technologies involved in the seed-to-seed production system. 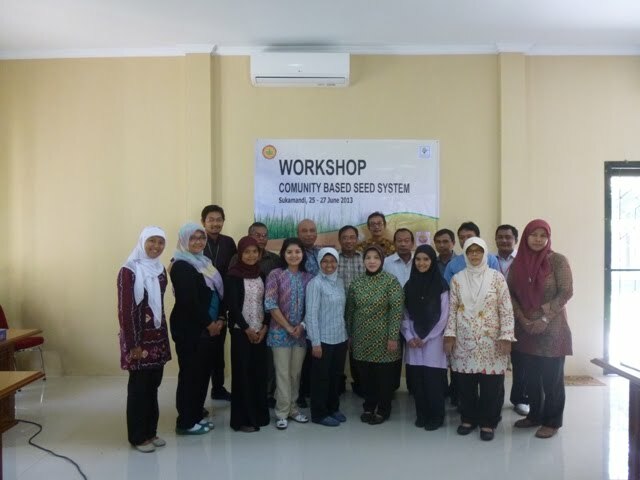 The participants learned about the concept of CBSS in rice production systems, its context, methodology, information requirements, and role in delivering appropriate seed technologies and management practices. Participants were exposed to field visits, discussions, and group planning activities. Most of the resource persons came from ICRR and IRRI. Extension workers described a very good seed provision system in terms of quantity and quality of seeds produced throughout the year. Their data showed that 60% of the farmers have been using certified seeds introduced through the government’s seed subsidy program. The number of seed growers also increased both in irrigated and rainfed-lowland ecosystem. The seed production unit of West Nusa Tenggara AIAT has introduced and supplied the newly released varieties from ICRR. Major concerns were pests and diseases, especially in rainfed areas. The drought-tolerant varieties are getting vulnerable to disease, especially blast. There is a need for these new varieties to have tolerance for blast. Bali AIAT extension workers said that they have no problem supplying seed to farmers in Bali Province. Central Java extension workers said that the seed production unit of CJ AIAT has ably supplied farmers and growers with seeds of newly released varieties for 4 years. The major issues raisedwere competition with other seed growers and consumer preferences toward local traditional varieties. The seed production unit of Jogjakarta AIAT was primarily a distributor. It has attempted to promote newly released varieties to farmers by conducting organoleptic (sensory) testing to introduce eating quality. The West Java AIAT extension workers mentioned the existing competition between the AIAT seed production unit and the seed growers. Through an informal approach, seed growers were made partners of AIAT in supplying seed to West Java farmers. Mostly seed growers have established producers’ associations to gain more accessto the national seed system. 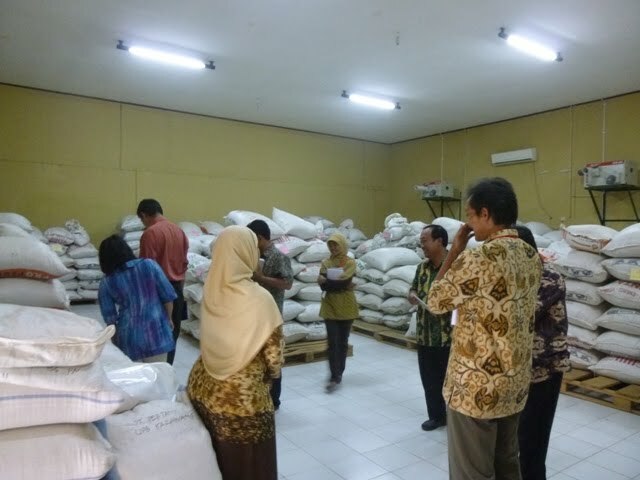 In Banten Province, the Banten AIAT seed production unit acted as distributor and partnered with seed growers. A major concern was the presence of big seed companies that take the lion’s share of the market. Banten AIAT extensions workers predict that, in 2 years’ time, they will improve their dissemination strategies by selecting appropriate sites, choosing the right varieties, and fully harnessing their human resources. Specifically, the goal will be to increase rice productivity of about 1,000 farmer individuals by 10% through the provision of good-quality seeds and high-yielding varieties, as well as the establishment of a CBSS network. Banten AIAT will also concentrate more on farmer group education and capacity building, field activities such as demonstration and PVS,new technologies, and forging official/formal agreements with stakeholders. Plans and agreements. Each AIAT presented its planned program. Most of the participants agreed that CBSS could be established. In fact, this has already been initiated in some districts by seed grower associations. They confirmed the need to strengthen existing CBSS and reiterated that the local government give it top priority. The extension workers regarded CBSS as the most realistic way to distribute good quality seeds of the desired varieties during the appropriate planting season. Another training is set for 2014 for other AIATs of other provinces in Indonesia. The West Nusa Tenggara AIAT suggested that the functions of the seed production unit in AIAT should be clearly defined to enable it to effectively address seed distribution problems. The training inspired participants and they came up with some ideas and scenarios regarding the improvement of seed systems in each respective region. The bottom line is the strengthening of existing systems of seed networking in each site. Empowering other farmers’ groups. The most impressive scenario is that offered by the West Nusa Tenggara AIAT. The next envisioned steps will involve site selection, empowering existing farmer groups, establishing better organized groups, and holding PVS demonstrations. The overall objective is to achieve well-established seed production systems. Harmonizing. Activities of every sector involved in seed production should be harmonized. Extension work should focus on efforts to ensure a continuous supply of good-quality seeds amidst erratic weather conditions and to expose farmers to innovative technologies to overcome possible constraints. Expanding the CBSS. The next step also would include expanding and incorporating seed production systems of other crops to support food security strategies to cope with an unstable climate. The plan would look at using rice-sesame or rice-mungbean intercropping schemes. Overall, the other participants expressed the same ideas. ICRR will continue to encourage similar collaboration in the future, if possible, with assistance from CURE. The vision of a steady supply of high-quality rice seeds may be hard to attain, but extension workers equipped with appropriate knowledge and skills in promoting CBSS to rice farmers would make a difference. Dr. Indrastuti Rumanti and Ms. Suhartini are researchers at Indonesian Center for Rice Research (ICRR).